“Noche de Muertos” is a Mexican tradition celebrated primarily on the 1st and 2nd of November of each year. The day of the dead celebration has become very popular around the world, perhaps because of its colorful papel picado, fun calaveritas de azúcar and beautiful ofrendas. Although this is a great way to introduce the festivity to little ones and young students, it is important to understand and respect this tradition. Then, it will be truly cherished and awaited each year by generations to come. For more than 600 years, indigenous groups in Mexico have been performing different types of rituals to honor, interact and relate to life after death. Indigenous Mexico accepts death as part of a lifecycle without beginning or end. It is believed that the souls of the dead return for a visit to celebrate a family reunion. Families gather a few days before to prepare for the arrival of their loved ones. This can be at home, the cemetery or both. The items prepared and gathered are the food, drinks, and personal items the deceased loved. Also, personal items and tools are gathered for their journey back. The offering is an expression of love and acceptance of the cycle of life. I believe that what is truly important to understand is that these two days are an opportunity to be with family and the community. A Maya professor states: “We celebrate togetherness with our dearly departed”. Lasy year, I had the privilege of spending Noche de Muertos in Michoacan state. Here is a short video of the Tzintzuntzan’s procession. It was magical! Two of my favorite storybook for Día de los Muertos! Looking for Printable Activities to teach Día de los Muertos? This entry was posted in Monarca Language, Teaching and tagged Children, dayofthedead, diademuertos, Education, Learning, niños, parents, Preschoolers, teachingtraditions on October 25, 2016 by Monarca Language. One of my favorite themes to teach during the Spring season is the farm. Most children know some of the animals that live on a farm, but do they know why they live on a farm, who takes care of them and the benefits the farm provides us with. Here are some ideas for a preschool farm theme to teach children in Spanish (or English). The concepts are endless and valuable to learn. Here are 4 farm concept ideas to share with your preschoolers. 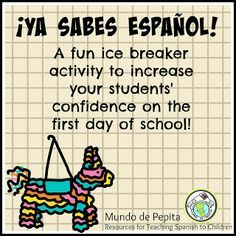 Keep in mind that I teach Spanish immersion so all of my ideas start from the assumption that must of my students are English native speakers. Farm vocabulary (practice the articles with the nouns; la vaca, la oveja, los pollitos). Farm animal products (practice with a complete sentence; la vaca nos da leche, la oveja nos da lana, la gallina nos da huevos, ¿qué nos da el cerdo?). Food in the farm. Farm animals eat plants, fruits, vegetables, hay, corn, and oats ( this can be a taught in a different lesson about seeds, plants & flowers). Transportation and vehicles in the farm. Horses are farm animals that can be used as transportation (math concepts can be used to teach about distance and traveling time; lejos, cerca, largo, corto, rápido, lento). All of these concepts can be practiced through a variety of learning centers and activities at school or at home. From songs, rhymes and storybook, to math activities, crafts, and even cooking activities. 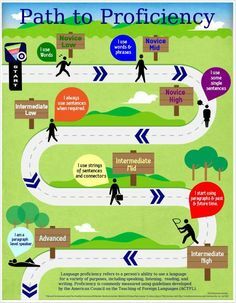 Use an activity map (un mapa temático) to plan the class activities and to record your ideas! Here is the template for the activity map and a weekly planner! Try it and let me know if it worked for you. This entry was posted in Free Activities, Teaching and tagged farm animals, Preschoolers, teaching spanish, Vocabulary on March 22, 2016 by Monarca Language. Going Back to School!~ Words of Inspiration. This time of year teachers and parents are scrambling in preparation for going back to school and adjusting to the changes of our summer lounging days. Today in preparation for this process we have some inspiring words of wisdom from a Eliana R. Molina a very talented Spanish teacher that thrives at creating a nurturing environment for students and herself. These are her thought on beginning the new school year with love and perspective. ~As the new school year approaches and summer-time comes to an end, many teachers begin to prepare mentally for their return to work and all the planning that comes along with it. For many teachers it will be their first-year teaching, for some it will be back to their old stomping grounds, and yet for others, like me, it will be taking one’s teaching experience to a new school district, in a new city and state. Mahatma Gandhi once said, “Be the change that you wish to see in the world” and I completely agree with him. You see, moving is never easy. However, change is good because you are being given the chance to change the world. Perhaps you may want to promote culture or diversity in the new school district you’re about to join or the same one you taught at last year. You might bring some new ideas to the new school that will bring many teachers together in conversation or perhaps share something you learned over the summer that will inspire a colleague or student. The whole point of change is we are all given the opportunity to do so, to take the opportunity to add something, to make a difference. Regardless of how many years we have under our belt in teaching, and how many years we have at a particular school, getting ready for the school year entails preparation and work. Coming up with new ideas for lesson plans, planning strategies and even making sure you have all the school supplies needed in the classroom can seem easy to achieve, but it is very time consuming and takes patience and collaboration. During the first week that teachers report, there is work to be done and new things to learn as a district, school and department. Teachers must get back into the routine of waking up early again and attending staff meetings and staying after school, helping students, grading papers and volunteering. The list can go on and on and seem endless!! Teachers need to make sure that their classroom area is ready with the right amount of desks and chairs to seat all students. I always make it a habit to make sure that the proper technology equipment is installed properly and working. 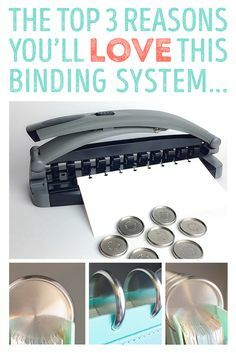 That does not exclude making sure the needed supplies are in the classroom, such as a stapler, a pencil sharpener, rulers, glue, tape, scissors and more. You might find out that the school has adopted a new textbook or started using new software that you will need training on, which takes away from preparing yourself and the classroom for the upcoming school year. You will change the life of a Child! 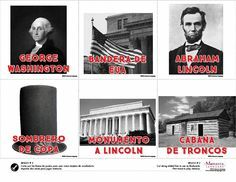 Monarca Language has free printables and spanish education material for you just become a member. 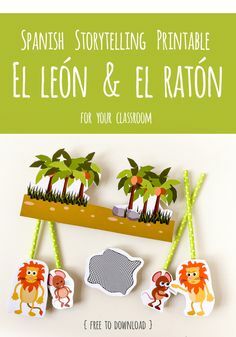 This entry was posted in Teaching, Uncategorized and tagged backtoschool, Bilingual, Children, Education, kids, Learning, newschoolyear, Preschoolers, Students, teach, Teachers, Teaching on July 22, 2015 by Monarca Language. It is February and we are so excited about starting the sweetest month of the year with you! 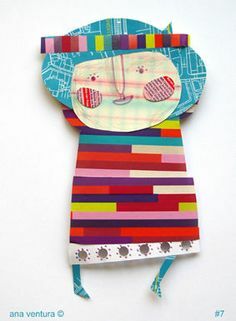 You will probably be making some type of friendship crafts at home or at school. While doing these crafts, talk about what friendship means and how friends and family makes us feel. There are many social skills that are learned and developed through friendships and social interactions. One social skill that is key to nurture during early childhood is cooperation. Cooperation allows children to resolve conflicts and practice emotional self-regulation and empathy—often letting go of something they want for the good of the group. Do you know a game or activity that nurtures cooperation? 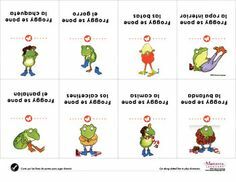 This entry was posted in Parenting, Teaching and tagged aprendizaje, cooperation, Education, Preschoolers, teaching spanish on January 30, 2015 by Monarca Language.